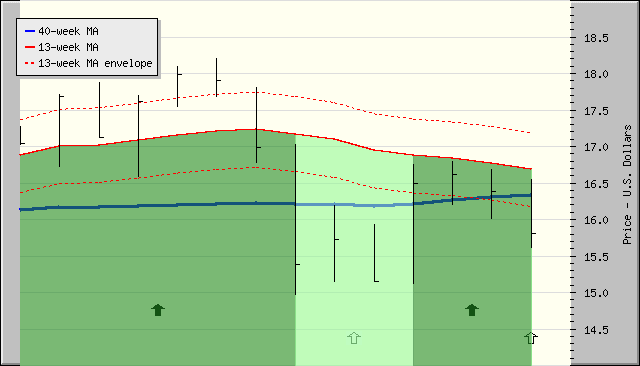 The Stock Trends weak bullish indicator ( ) alerts readers to a possible change in trend. When the current closing price is more than 3% below its 13-week moving average while the 13-week moving average remains above the 40-week moving average, a stock is labeled with a weak bullish indicator. 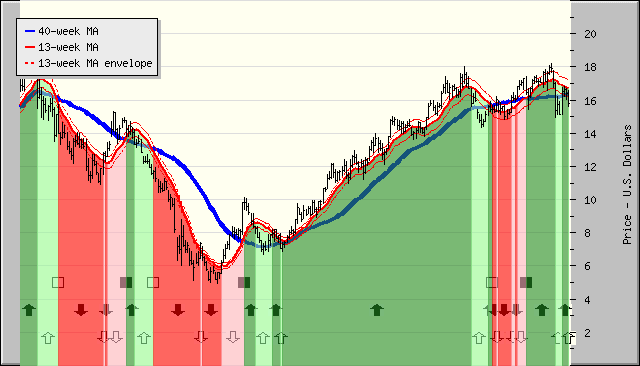 The Stock Trends weak bearish indicator ( ) alerts readers to a possible change in trend. 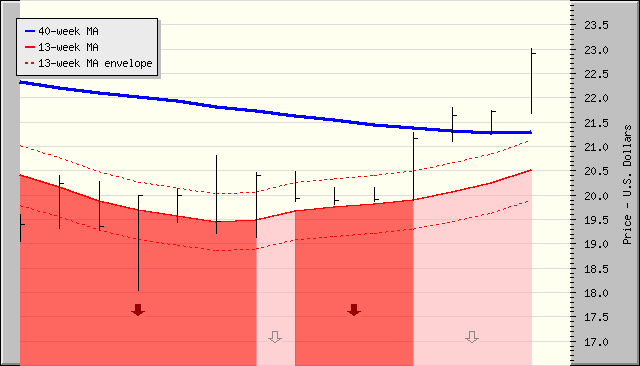 When the current closing price is more than 3% above its 13-week moving average while the 13-week moving average remains below the 40-week moving average, a stock is labeled with a weak bearish indicator.